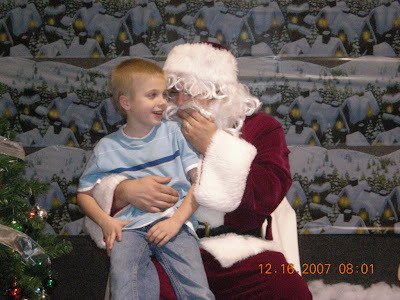 Ever wonder how your kid would react if they came over to Santa Claus and heard your familiar voice? Last year at the Calallen Campus of RLF, I dressed up as Santa for pictures with the kids. I think it was Donald Parker, the Calallen Campus Pastor that caught me letting the cat out of the bag on camera.